"I love the enthusiasm, Daze." Spoke fiver, "But you should be careful with training and flying twenty four seven... over-training can be a real worry even to the best of athletes. Can hurt your muscles long-term... even hurt your motivation." Fiver knew all too well the dangers of over-training, having been through many of those herself in her youth. Some times she had to wonder if all the work she'd done might have contributed to her own peak she'd been feeling recently. Brushing such dour topics out of her mind she picked up on Daze' mention of Cloudsdale, "I'd say Cloudsdale is a pretty special place, not everypony or even every-creature can even walk there... I had a lot of trouble learning to walk on cloud when I first visited the place..."
Loose Cannon got her attention not long after, "Actually yes! A nod to my name and a flight trick that got me enough attention to join the team I was on. My name 'Khamsa' means five in Saddle arabian." That aerial trick she mentioned earlier was part of what inspired the nickname too, but in Fiver's mind it wasn't nearly as important now. ... especially after that weird clicking sound. At first she was going to get up from her seat but then noticed something odd bout the window: The scenery. There were some mountains that they were in the process of passing by, including some rocks and other arctic imagery... but after that clicking sound things seemed to be getting slower. "Something... seems off." She said as she stood herself up, "Anyone up for some investigation?" Despite these unfamiliar paths, Toboe managed to keep pace with the group well enough. While she'd mostly been in a more managerial position back in the business home, she'd not neglected to keep herself in shape. If anyone back home heard the boss was getting sloppy she'd be tossed out in a heartbeat for sure. Once she arrived in the cafe she breathed a sigh of relief as the group narrowly beat the rainfall. Just as she got in she would smile at Nensho's suggestion, "That's actually not a bad idea. Ponies seem to be especially rowdy an enthusiastic whenever I keep the bar open late... maybe some of Ruby's music would be perfect." She looked over to Ruby, "Do you know much Neighponese or should I provide an interpreter?" Now that she had arrived at their table she took a seat and smiled over to Nensho, "We try and teach you sometime later but for now. let's eat!" She said as she lowered her eyes to the small menu on the table. I have a few characters who'd love to meet Thrilly sometime too! My royal chef has been out traveling and was hoping find more chefs and learn from them... along with seeing and meeting new people. She's never met a cat person and would love to spend time with a companion like her! Pocket change could easily run into my wolf yokai Hogo-sha. He's a globetrotter too, but more of an amateur archeologist. He's mostly looking for fame and power for the most part but he works to always keep his word and act reasonably. He's a very big nerd, and loves poetry. My travelling Bard recently met Smolder in another Rp! Maybe we can develop a friendship off that interaction! The unicorn looked to Pathfinder in her odd position on the table. She tilted her head a bit to try and get a better look at the cover and title while she responded, "Studying. I've been looking to further my knowledge of the magic I use. Are you still doing all those adventures? I only went on a couple and I got cursed after the second one..." She huffed through her nose in annoyance before smiling to Pathfinder and giving the slightest of smiles, "It's good to see you again. The rest of you as well." She bowed her head to Firewalker, "I'm almost scared to ask what might be int pitcher... I would like some orange juice if it isn't any trouble." She said in her usual calm register as she approached the table and the rest of the group. Squall sure seemed different since the last time Rose was here. somehow the unicorn seemed more mature, did he get taller too? What he was talking about though was going a bit over Rose's head. Perhaps she'd come in a bit late in the conversation to truly get the grasp. "Um... I just got here so I'm not sure I have all the context." She slid her currently deactivated headphones down to hang off her neck, "What was your Epiphany, Mister Squall?" Toboe had to take a pause when Brick Mentioned 'Stroganoff'. It took a second of thinking, but eventually she remembered where she'd heard the term before. It was some foreign dish but it had become a fairly common dish back in Neighpon: Most often served alongside rice. If she recalled correctly it had meat in it... sweet, sweet Protein! Could only have been made better if it had salmon or peanut butter in it. With a grin she nodded her head, "I'm happy to do some following. Nensho's been leading me around most of this trip after all." She looked over to Nensho and grinned, "If I remember right, Stroganoff is pretty good. Feel up to getting some?" "Beyond Equestria, huh? Well Miss Ruby if you ever visit Polohama in Neighpon I can see what I can do about getting you a place on me." She looks up to the sky as the DJ brought her attention to the darkening clouds above, "Oh my. I should've taken a closer look at the weather schedule in the travel booklet." Toboe wasn't a big fan of rain, she never learned what about it exactly bugged her. Probably the after effects when all the pollen and spores went into the air. Dealing with all the unfamiliar scents in this city was already a hassle, more allergens in the air wasn't going to make her or even Nensho's day any easier. She called out to Miss brick, "Lead th--!" she chuckled as Nensho beat her to the words, "What he said!" With the training finally getting its start, Fiver relaxed a bit. She looked back to the Daze and smiled, "Well thanks. I try to keep myself in shape but for me I've done all I can so... I'll be sitting this one out and watching from the sidelines. " Fiver always liked seeing new athletes enter the scene, not just fliers but runners or even swimmers. Some might say she was too old be feeling so nostalgic, and maybe they were right. Still, she was content for the most part and willing to cheer on anyone with a dream to improve themselves. When Golden Daze spoke up her name, Fiver quickly answered with her own. "Khamsa Alriah. My friends call me 'Fiver'." The musings of Zelda brought another smile to Fiver's muzzle. A chance to relax and not worry about what was left behind was exactly what she'd been hoping for. Shame it was only to last as long as this ride. "It's a pleasure to meet you, Zelda. I'm a ... stunt flier more or less. Been a part of a good team for a while, but I'm thinking about exploring other options in time. I'm on my own little vacation for the same reasons as you are." Loose cannon sounded much more knowledgeable about the nature of governments than Fiver did. Just hearing words like principality took the Pegasus back to the days of schooling with her mother back in Saddle arabia. Scholars could be such a boar, strange neither her nor her brother took to knowledge in the same way her parent had. 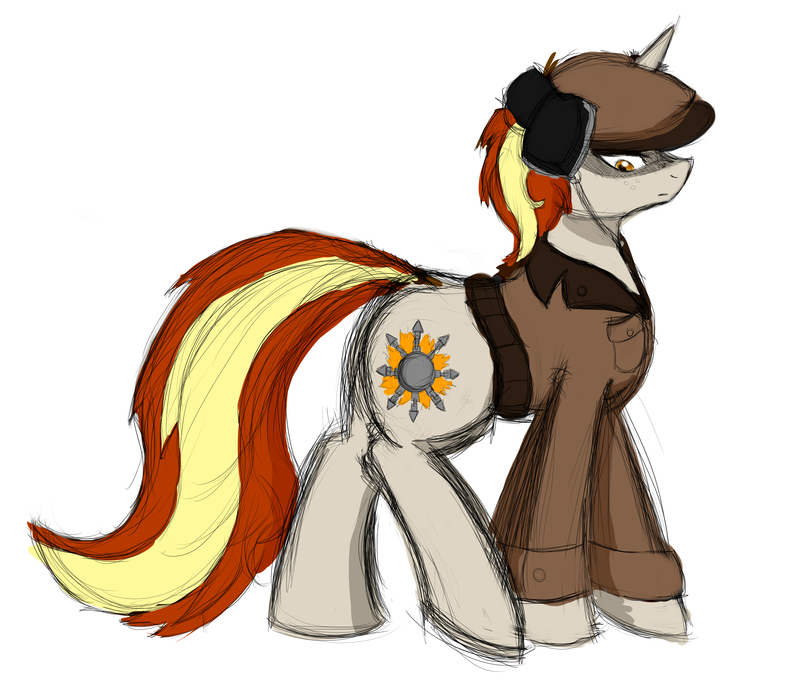 "Frankly I stopped thinking about how Equestria's government is run a long time ago. It seems as though things will be as they will be regardless of what I or others do." Before Taira responded he proceeded to blow his nose a couple times into the tissues he'd taken through is magic mists. The sound was not unlike a trombone being played by an amateur in a highschool band. Once done he would toss the used paper into a nearby basket and take a deep breath of the familiar air of his family's dwelling. "Free visits to a spa... those do sound nice. Would that offer extend to just me or the rest of my family?" he asked as he worked to get a glass of water for himself, "Would be a nice treat for when I get enough bits together to visit Equestria." The stallion pulled up a seat and relaxing, "As for my magic?" He coughed up a small puff of mountain mist, "Well for a lot in my family our magic seems to come naturally so mind did too! I can also use it to form shapes... I can walk on it and use it as transport. Can also use it for illusions and the like!" Toboe couldn't help but crack a smile at Brick and Ruby's antics. She could tell just by looking at the mare from stalliongrad she was a strong one, and judging by that dance: Fit too. Attention was drawn by ruby's question, "Sorry to tell you I'm just a tourist with a close friend as my guide. Where is h-oh!" She perked up as Nensho's presence finally reached her. She turned to him as he came up to the trio. "Glad you could still find me in this crowd!" 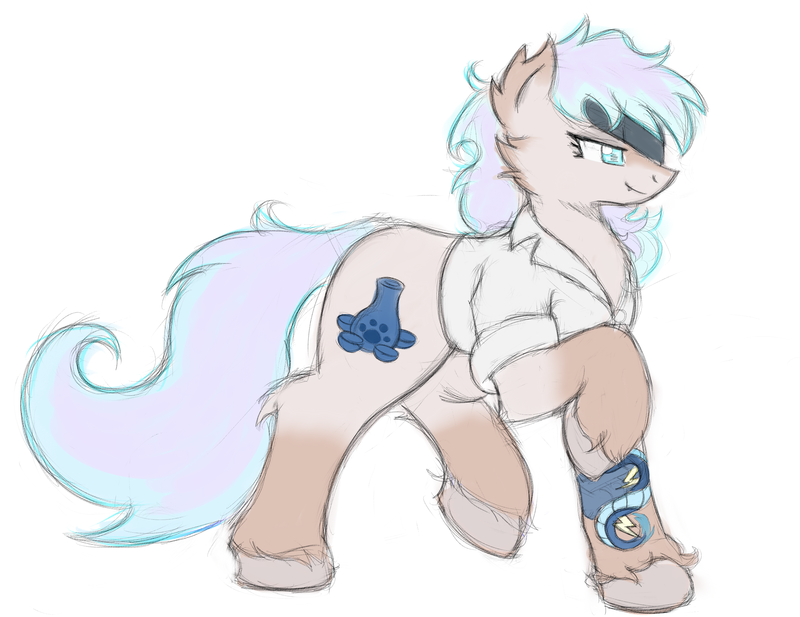 She gave the 'stallion' a side long hug with her hoof before looking back to the duo before her, "This is Flying Brick and ... Ruby was it?" She asked, not having been able to hear what the batpony had said before when she approached. When she got the affirmative she gestured to Nensho, "This handsome stallion is Nensho: my closest friends since we were tiny." She'd been getting a little worried she might have lost him earlier, Nensho's nose worked better in this land then hers it seemed. Maybe she was still acclimating to the environment, maybe it was the spring air? Who knows. "So! You ever been around this city before, Nen-san?" This vacation had been quite the strange one, but it was rapidly turning out to be Toboe's favorite. From the Nightmare Night Mystery, to the busy streets of Manehattan... Toboe had to think how she'd pay Nensho back for talking her into this. There were some aspects of Equestria this Neighpon native had trouble with, such as the climate and how oddly expressive some ponies could be. You'd not find someone as bouncy of loud as that pink mare from Ponyville unless she was someone important enough that they could get away with it. 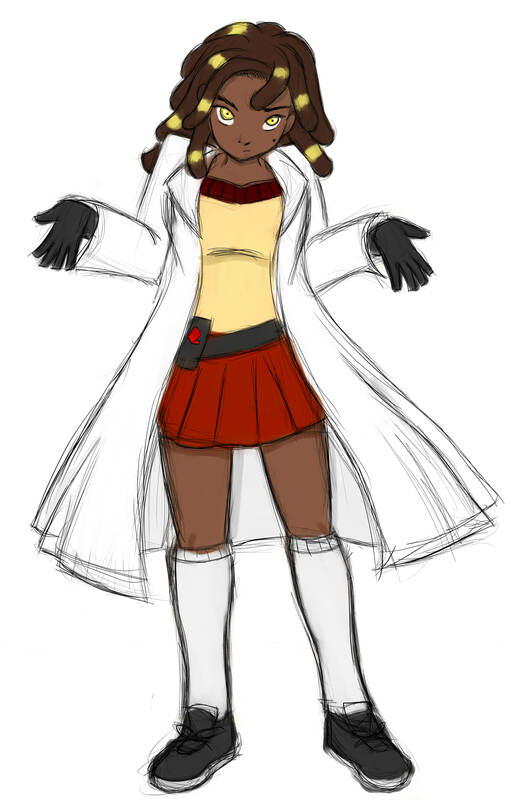 Then again she was supposed to be one of the lands' heroes, she'd likely earned the right to be eccentric. Maybe one day she could run into some of those strange characters from Ponyville again, but the way her job had been before she left... she wasn't sure when she'd possibly come by again. Having managed to get some business done as well as pleasure, Toboe was quite pleased with herself as well. When she got back, that clean bar business idea of hers might actually be able to get off the ground. Thoughts of life back home were interrupted by music from the streets. Those beats were so infectious that just walking down the street, Toboe found her steps matching the Rhythm. Eventually she noticed this and looked over towards the source of it, just in time to see an excited red mare come down and start to dance. By the time she and Nensho could make their way over it seemed the music was dying down, at least until the mare with the Stalliongrad accent called out for more. It seemed that the batpony was already packing up though, "What's that saying again? Bravo! Bravissimo!" Toboe had managed enough to hold a conversation in equestrian but some of the other branching languages escaped her still, "That was quite the show! Are you two a double act?" "Not much to be nervous about, Stranger. It's a nice place according to the brochure." She said as she held up the aforementioned item, "That fancy festival they have seems to have passed, but there's gonna be a big race when we arrive." She pulled her eyes up from the paper and looked over Daze's cold weather gear and smiled, "Are you gonna be racing in it? You've definitely got the build of an athlete." Seeing her fellow Pegasus passenger like this really took her back, when she was a recruit in the Wonderbolts she had that same nervous look meddled with excitement. The griffin turned out to be quite the skilled artist. When Zelda spoke up about the rest of the cabin being her sketch subject Fiver cracked a smile, "If I can get a look at the result I'm fine with it. Are you a professional sketch artist? Or do you do other types of work alongside it?" The earth pony with the salmon colored coat was especially talkative. 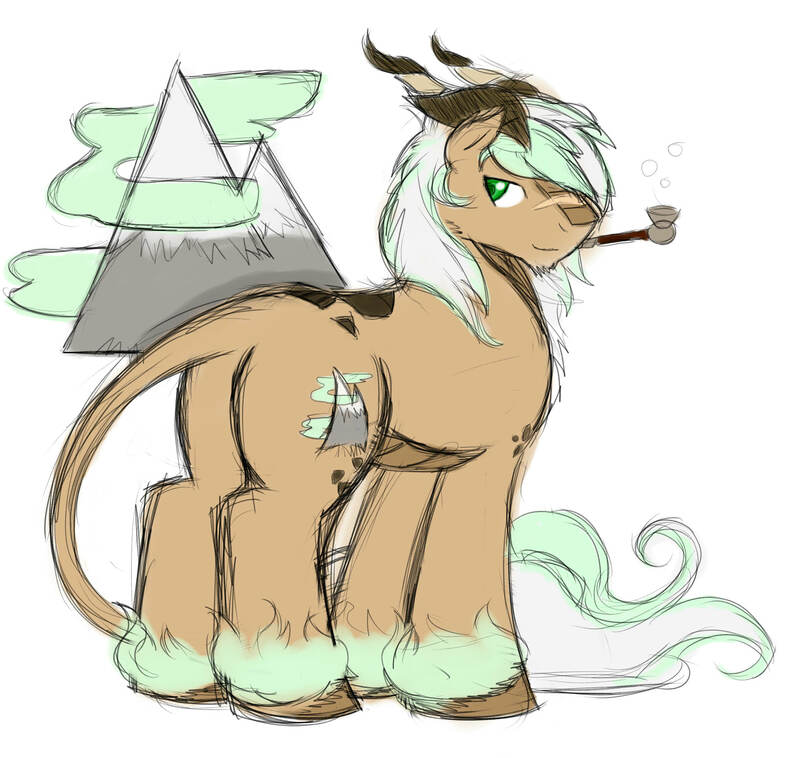 Her interest in the culture of the crystal empire was something that caught Fiver's attention, That bit about not interested in the crystals was a tad eyebrow raising. Not so much that Fiver was terribly interested in their architecture or artifacts either, but she couldn't help but think it was odd to mention that specifically. That last question about it also drew the pegasus' attention too, "That's a good question actually... The empire doesn't really seem to fit the definition of an empire. Seems more like a king-- er princessdom maybe?" The black dog itched his muzzle a moment on the roof. Nilaavin's fur still bothering his senses and that paw smack earlier not having helped. He fished around the inside of his coat until he pulled out a kerchief and brought it to his nose. "Thank you for the insight, Friend. " The sniffling diamond dog gave a bow, "I am Hogo-sha of the east. Have you come to this land in the hopes of broadening your horizons as I have?" He pressed the true diamond dog on in conversation, in part to distract himself from the scent of cat in the air and also out of genuine curiosity. 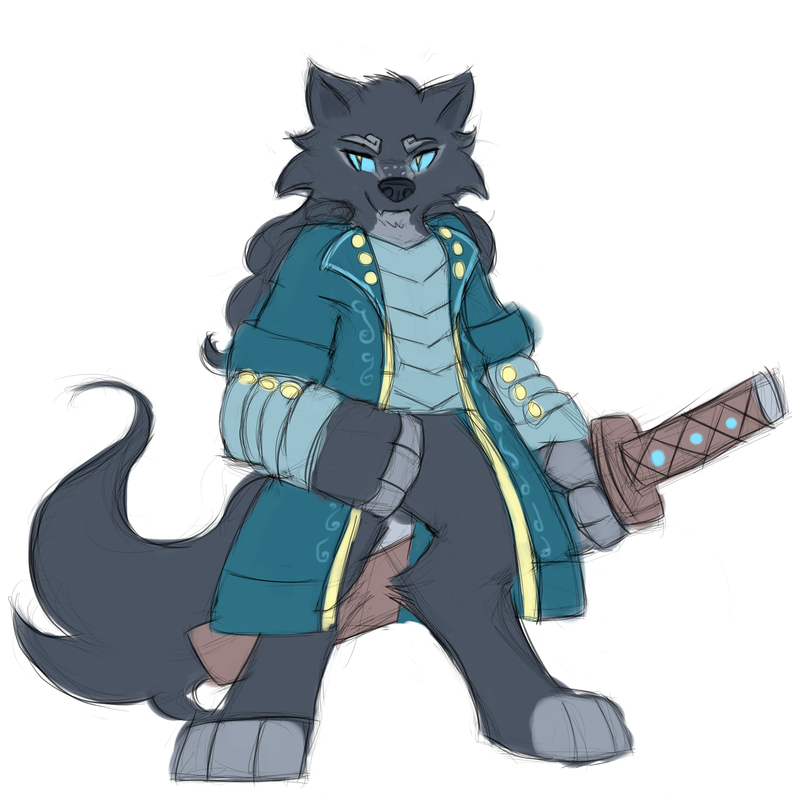 Hogo-sha was not a real diamond dog, but meeting a genuinely civilized one was always something that he tried to to take advantage of... and Anu was certainly not one he had ever run into before. Regarding the sphinx, Hogo-sha couldn't help but feel a bit insulted. Not just by the rude dismissal of his offer of help through literature, but somehow through the ancient words he could tell that whatever Nilaavin was saying: it wasn't at all kind. A huff of annoyance escaped the dog as he looked back at giant cat, "Dare I ask what he thinks of us, Your highness?" He looks back to Blueblood, "It is alright, Your highness. It is a waste of time to hold grudges over one's life ... or prejudices." He glanced back down at the cat then back to his master, "In my travels I had once heard that the wisdom of a sphinx was like an Oasis in the desert. I would tell him 'expect poison from the standing water.'" Those with a knowledge of poetry may recognize that line was from a work by some semi-obscure poet of the equestrian canon. He spoke through his handkerchief at his muzzle, "I may not speak his language, but I feel as though I can hear the tone of contempt in it. It worries me.... but while he is in your care he must be in the best of hooves." That saying gave the dog pause... the foreigner seemingly mulling it over before smiling up at the pony atop the sphinx, "Those are wise words, Sir." He said with a short bow, "I see now why you have the privilege of riding a top a sphinx." He wrinkled his muzzle in the presence of the big cat as it looked down upon him in spoke that curious language, "Sorry to say I can't understand your words, Nil-san. I do think you should consider growing past your reluctance to speak common tongue... some can find it rude if it becomes to often an occurrence." The dog fumbled his pockets for a moment before picking up a book labeled: Equestrian for beginners. 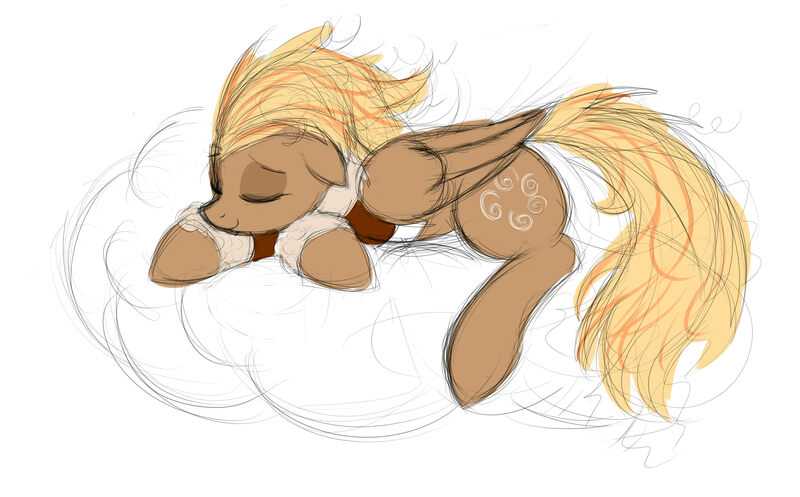 "I had a hard enough time getting ponies comfortable around me looking like this... I can only imagine how rough it could be for you being the size of a small building." Hogo-sha proffered the book in the Sphinx's direction, "If the print is too small for you to read then perhaps your master can help you out?" Seeing how large the creature's paw was he thought for a moment, "Maybe I should just offer this to your master instead--" Something on the wind caught his attention... Was it bacon?! no, of course not. He was more than civilized enough to avoid a tantalizing scent like that. Instead it was something the smelled of Saddle Arabia. Hogo-sha turned towards the source of the scent and took note of a curious looking diamond dog on the rooftops. That little ankh hanging from his neck brought a smile to Hogo-sha's face. In a couple bounds, the black dog hopped from the nearby canopy to a roof in front of Nilaavin. Now he was eye to eye with Blueblood... and was easily able to see the dog nearby, to whom he waved offer. "Excuse me, Sir!" He called over, "You seem like you might have some knowledge of the prince's new servant. Perhaps you have some insight?" It was awfully nice for someone to invite Fiver to the racing event in the Crystal Empire. At first they floated the possibility she could be a judge, but by this time Fiver decided that her discernment had been somewhat impaired as of late. Thankfully, the organizer on the other end of the mail service understood and simply gave her some fairly nice stand to watch from. If she was being completely honest with herself, she really wasn't terribly interested in going: Especially if someone was only calling her in because of her wonderbolt status. She'd hoped the calls would have stopped by now. With how little she'd been going to the demonstrations lately, being forgotten about would have been preferable. In the end, she accepted the offer so already she was on her way. Making it to the station just in time to hear the conductor calling out for the late arriving passengers. With a short rush of wind she was already past the doors, ticket in hoof. "Thanks, Mister." She said almost reflexively as she started down the Hallway, "See you when you collect the tickets." Toting her luggage behind, her eyes bounced between each cabin numbers and the ticket in her hoof. The bag was fairly heavy, even for her. So many larger than average clothes for a larger than average flier. Her Saddle Arabian ancestry made her shopping in general pretty difficult thanks to her taller build. 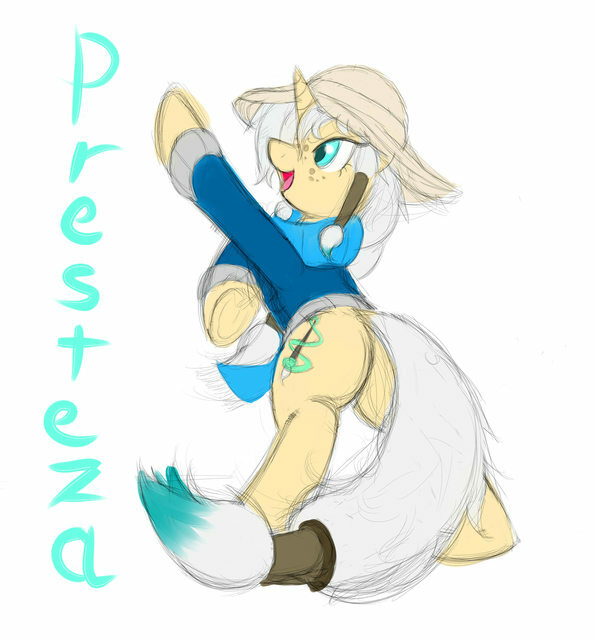 Finding winter clothes for the crystal empire was almost an ordeal by itself. Still, she found some and now they were packed up in the bag behind her. Maybe she should have taken up Mother's offer to make use of the tailor's back home but Fiver's pride hadn't fallen so far ... yet. Finally finding a matching number on her ticket, Fiver knocked a few times for courtesy and then opened up the door. She looked over the occupants already present and smiled. This was a varied group she'd stumbled in upon. A griffin, an Earth Pony, a pegasus. If she waited a little longer maybe a dragon could pop by. That green maned pegasus looked like she might just be about ready to explode with how much she was shaking... Must be nervous. The black griffin sketching away at her pad made her curious, but she managed to resist the urge to peek: She heard some artists were very touchy about being watched in the middle of a work in progress. Seeing a seat by the corner of the cabin, Fiver took it and carefully put her luggage in the proper compartment. "Okay..." Once that was done she slacked down into her seat with a sigh, "Um... This everyone's first trip to the empire?" "Nonsense! With how few visitors we get up here, it's my duty as a host to provide for them. especially one's who've been as giving as you." 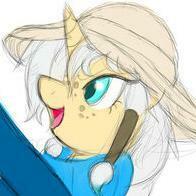 Taira wasn't the type to leave a kind pony alone in the mountains, "... Besides It not like I have too much that's worth taking." He chuckled softly as he opened up the door. Once Night breeze was inside, Taira galloped ahead and moved along to the kitchen. In a flash he came back with some cool water for the mare. "I can also get some tea if you prefer that. " He said with a pleased smile, "We've got a decent assortment." With Breeze's question, Taira gave a nod. "Perhaps it's because of the environment I grew up in, but I'm very capable of exhaling thick mists that can do quite a few things. Seems the default for them is a relaxing mountain scent." He takes in a deep breath and exhales a puff of fragrant mist that wafted and swayed in the air before it snatched up a box of tissues from the kitchen counter and brought it over to the stocky stallion. "It's a pretty useful skill." He said as he dabbed his snout with one of the squares, "On a good day I can make this place very... zen." Sorry for the wait. I talked ot staff and you should now be certified! I could definitely give Fiver a try. Haven't played her in years but it could be fun! As for what causes of wha tstrands them there... How about someone just uncouples the latch connecting their car to to the train? If they were near the back and in the middle of a snowstorm thent eh car could get sorta left behind and the train could just keep on going? I'd like to offer up a few characters if that's okay! There's my former Wonderbolt, Fiver. My Neighponese Bartender (and secret yokai)... and nothing else, Toboe Hiretsuna. 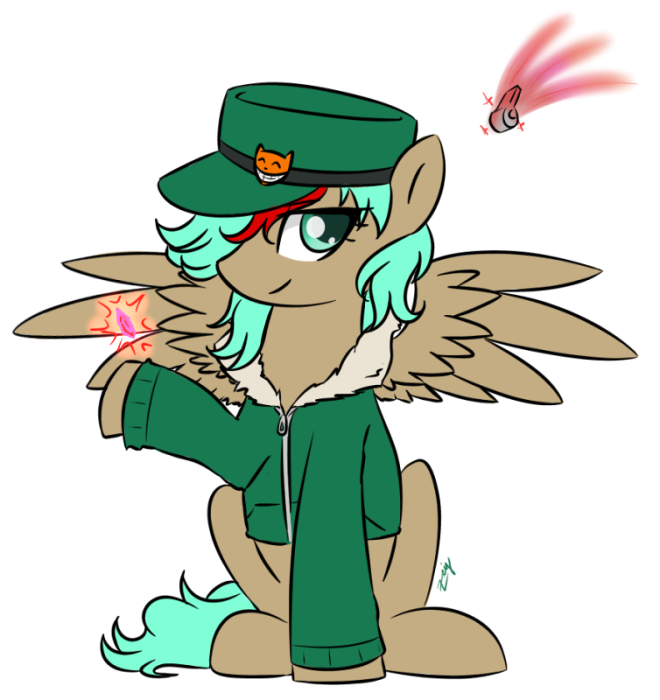 And lastly my Neighponese Golem trainer, Hoshi Shirogane.